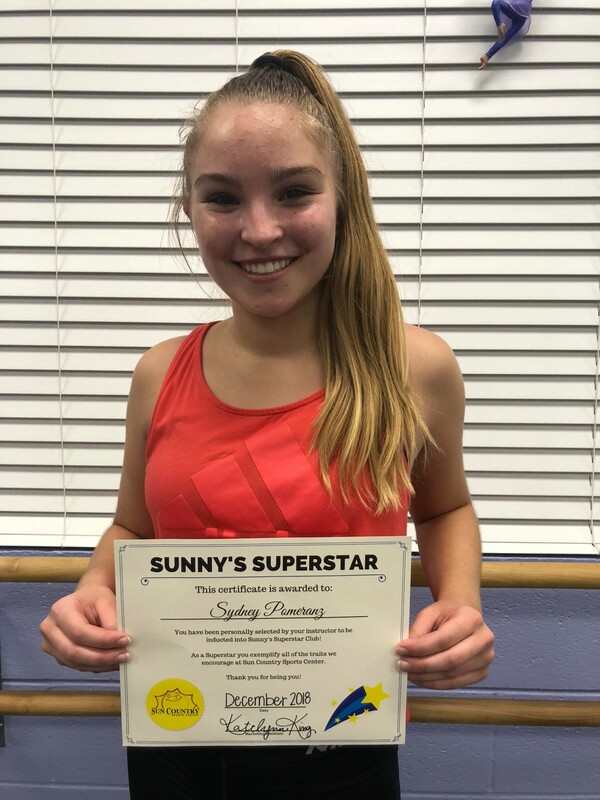 Sydney was chosen for this honor because she is so dedicated to dance and to our program and has so many dreams for a dance future career. She has also been a teacher assistant for the past 2-3 years, and never hesitates to help out whenever and for whatever she is asked. 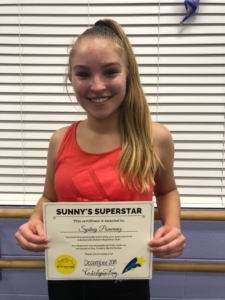 Also a performing member of SCDT – and has now also added “choreographer” to her accomplishments and interests. We are so happy that you’re part of the Sun Country Family! A big thank you to Sydney for taking the time to visit with us! We look forward to seeing you and all our Sun Country friends living, laughing and playing around the gym. Check back in next month as we continue learning more about our Sunny Superstars!